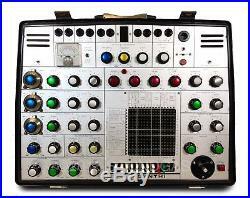 EMS SYNTHI AKS MK2. Superb Mk2 AKS for sale in excellent working order and superb condition. 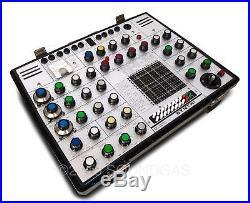 This Synthi sounds and plays very well indeed – it’s an inspiring, living instrument that rewards the user and encourages experimentation. It is a world away from sterile modern and soft synths: this beast takes you on unexpected musical journeys and is a sound designer’s delight. In excellent working order following a thorough overhaul and servicing. 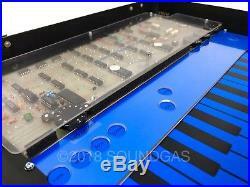 The keyboard cover was missing, so our synth tech Chris made a clear perspex cover for it, which looks stunning. There are of course some dings, minor dents and scratches to the synth, but overall it’s in very good condition. 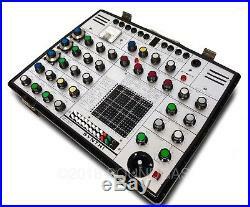 While a good deal of work has been done to ensure it’s as it should be, this is a vintage Synthi and some occasional foibles are to be expected. We take the view that servicing on these units should be sympathetic – recapping where necessary, but also keeping as many original parts in the audio path to retain character, even if it results in occasional minor flaws. A little noise is possible from some pots when it’s not been used for a while, but this clears with use. The patch matrix and pins have been thoroughly cleaned, but we did find one pin during testing yesterday that was intermittent, so can supply with new EMS replacements if preferred. These synths should be used regularly for best performance – just like a classic car or bike needs a run out to stay in good shape. It is a joy to play. Voltage is 240v or switchable to 110v. See below for more about who we are & what we do. Your list is one of the best, it really is. I just want everything on it. More about who we are & what we do. 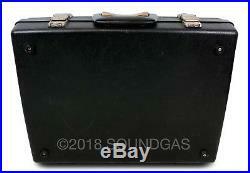 Soundgas developed from my interest in sourcing vintage instruments and recording gear for my own studio into a thriving international business. We find interesting, rare and classic gear and ensure that our customers receive them in as perfect working order as possible. First and foremost we ourselves are customers, musicians, engineers and collectors; we love fine, unusual, quirky and well-engineered recording equipment and instruments and that appreciation shines through in everything we do. 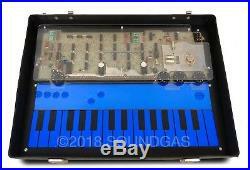 Please see our other listings for a wide range of vintage instruments, effects and recording gear from the 50s-80s, including Fender/Marshall/Vox/Watkins amps, Moog/Roland/Korg synths, and our speciality tape/disc echoes, spring reverbs and effects (Binson, Roland, Copicat, Grampian, Evans, Dynacord, Telefunken etc), plus a whole bunch of pedals, effects and other weird and wonderful gear. Please read our conditions of sale in full as they form part of the contract of sale. 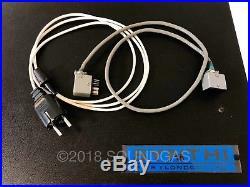 Photographs are of actual item for sale. 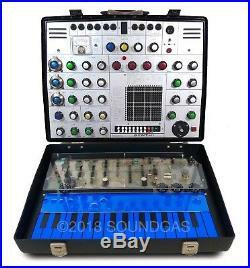 The item “EMS SYNTHI AKS Mk2 Pro-serviced classic vintage analogue synth” is in sale since Saturday, July 28, 2018. 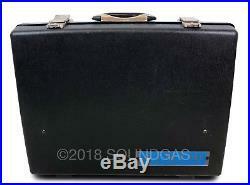 This item is in the category “Musical Instruments\Pro Audio Equipment\Signal Processors & Effects”. The seller is “soundgasltd” and is located in Matlock. This item can be shipped worldwide.